Latest figures from various observers showed that the housing sector continues to bear the brunt of the growth in Canadian real estate, with the manufacturing segment suffering a noticeable drop recently. 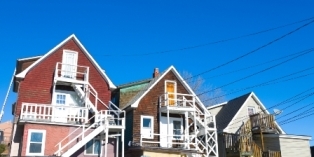 According to Statistics Canada data released on Friday (April 15), Canadian home sales saw a 1.5 per cent increase last March, representing a monthly record of 45,137 properties. This accompanied a similar upswing in national home prices, which rose by 0.8 per cent month-over-month and 7 per cent year-over-year, per information from the Teranet-National Bank Composite House Price Index. Much of this growth should be attributed to the massive 2.8 rise in Vancouver home costs. Meanwhile, manufacturing sales declined by 3.3 per cent, far below the 1.5 per cent drop previously forecast by economists. Sales dropped in 16 out of 21 sectors, with the motor vehicle and energy industries suffering the most as companies continue to downsize and streamline their operations. These development poses a significant risk on Q1 2016 GDP growth, according to analysts. “[These numbers are] consistent with what we anticipate will be a streak of weaker economic data consistent with the global headwinds that will continue to restrain the Canadian economy,” TD Securities head of global macro strategy David Tulk observed, as quoted by The Globe and Mail. Tulk projected a 2.9 per cent GDP growth rate for the first quarter of the year.